Gates to AT&T Park open at 11:05 a.m. before the first pitch at 1:35 p.m. The San Francisco Giants are bringing back the special ballpark pass in 2018 as well as introducing new food choices. Bob Redell reports. Regular season baseball is officially back in the city by the bay. The San Francisco Giants on Tuesday will open up their 2018 regular season home campaign with a matchup against the Seattle Mariners at AT&T Park. The 2018 season kicked off with promise for the "Orange and Black" as Joe Panik not once, but twice launched a home run to propel the Giants past the defending National League champions and rival Los Angeles Dodgers in the first two games of the young season — both 1-0 wins for San Francisco. The hot start was short-lived as the Dodgers and their bats finally came alive over the weekend. Los Angeles shut out San Francisco by scores of 5-0 and 9-0 on Saturday and Sunday, respectively. 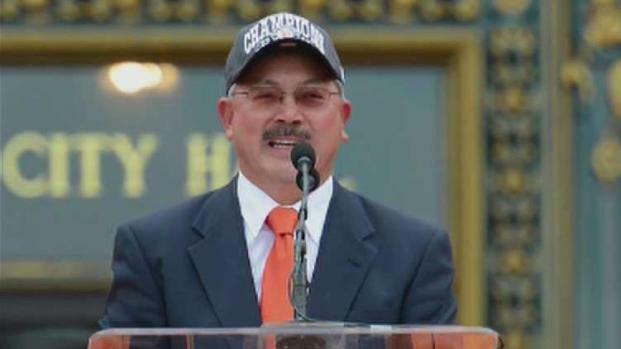 Before the San Francisco Giants open their home campaign on Tuesday at AT&T Park, the team will pay tribute to late San Francisco Mayor Ed Lee. Bob Redell reports. As a team, the Giants are batting .192 — fourth-worst in MLB — with just the two runs scored. According to Elias Sports Bureau, and as reported by NBC Sports Bay Area, the Giants are tied with the 1988 Baltimore Orioles with having the second-fewest amount of runs scored over the course of the first four games of a season by current major league franchises. Two teams — the 1968 Dodgers and 1937 Atlanta Braves — scored only run one during their first four outings of their respective campaigns. 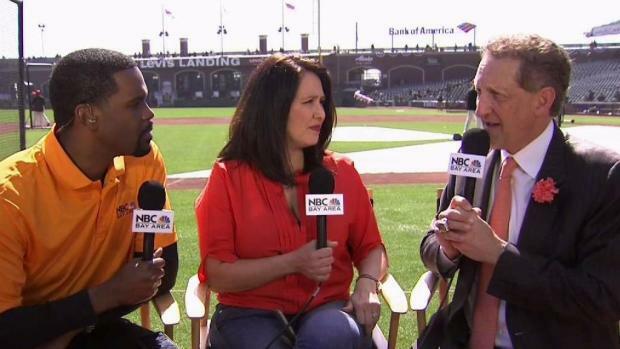 Larry Baer, president and CEO of the San Francisco Giants, shares what he's most excited for as the team gears up for its 2018 regular season home opener. Lefty Ty Blach will tow the rubber for the Giants in Tuesday's contest. He threw five innings of three-hit ball with three strikeouts in his first outing of the regular season. Austin Jackson will lead off for the Giants and play in center field. He'll be followed in the lineup by second baseman Panik and right fielder Andrew McCutchen. 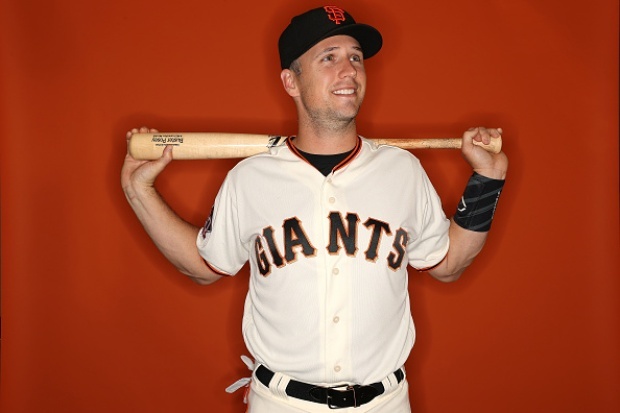 Buster Posey will bat fourth and play first base. Third baseman Evan Longoria, left fielder Hunter Pence, catcher Nick Hundley and shortstop Brandon Crawford will follow in the batting order, respectively. Blach will hit in the No. 9 spot. Marco Gonzales will be making his 2018 regular season debut when he takes the hill for the 2-1 Mariners. He brings a career 5.47 ERA to the mound in 14 career starts. Some lucky fans who attend San Francisco Giants home games in 2018 will receive special giveaway goodies. Garvin Thomas reports. Tuesday's first pitch is slated for 1:35 p.m. Gates to the park opened at 11:05 a.m. Fans are encouraged to be in their seats by 12:45 p.m. in order to catch the pre-game festivities, including a tribute to late San Francisco Mayor Ed Lee. Fans will also get the chance to see legendary players such as Willie Mays, Willie McCovey and Vida Blue. 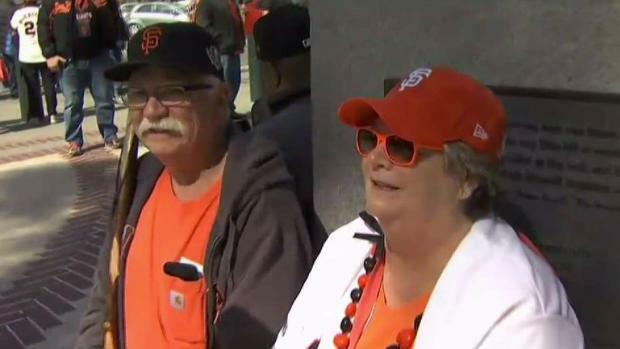 Fans of the San Francisco Giants flock to AT&T Park for the 2018 home opener. Garvin Thomas reports. 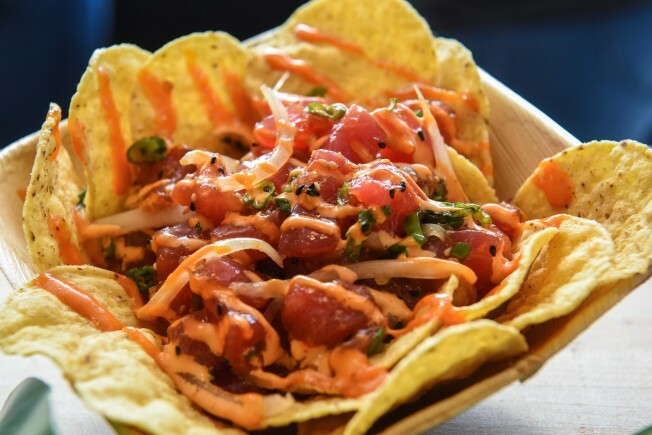 Aside from taking in America's pastime, fans in attendance will also have the option of dining on some tasty treats being served up at AT&T Park this season. 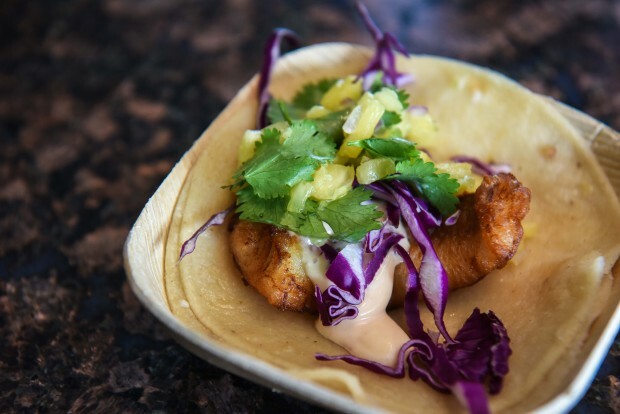 Those dishes include fish tacos, poke bowls, and rib and chicken platters. 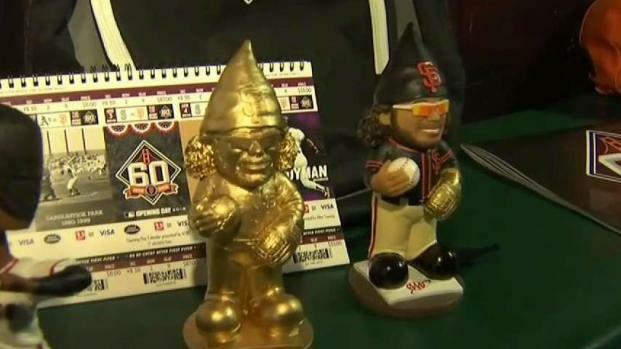 Bob Redell takes a tour of the bobblehead museum at AT&T Park in San Francisco.